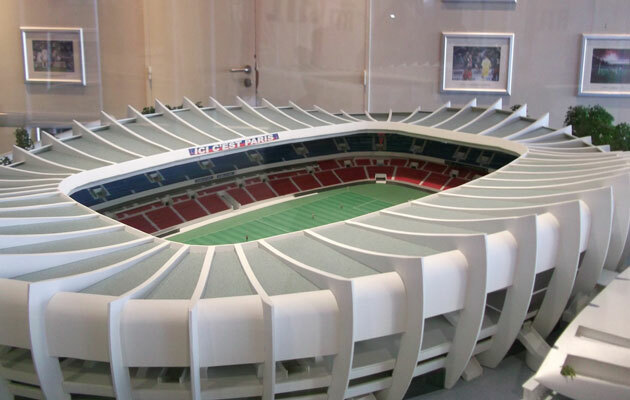 Parc des Princes was originally built without a home team to use it. Paris Saint-Germain filled that void. A general view of the main entrance to the Parc des Princes stadium. Paris is one of 125 soccer cities featured in Libero, the digital travel guide for football fans. Regularly refreshed with new destinations and the travelogue Soccer Sagas, Libero is a one-click treasure trove of football trip tips, tales and trivia. See www.liberoguide.com. Venue for Euro 2016, the final of Euro 84 and the controversial European Cup Final of 1975 between Leeds and Bayern Munich, the Parc des Princes was converted from a velodrome in 1972. Set in south-west Paris near the Bois de Boulogne, the Parc was used as the finish line of the Tour de France until 1967. Before then, it had been used only occasionally for football – such as for the early games of Stade de Reims in the European Cup, including the inaugural final of 1956. Rebuilt to accommodate the city’s new ring road, the Périphérique, to pass under it, the new Parc hosted the French Cup Final of 1972. What it didn’t have was a home team. Dismayed that Paris had no flagship club, in 1970 20,000 local football lovers donated funds for one to be formed by joining forces with Saint-Germain-en-Laye, who had just won promotion to the second division. Paris Saint-Germain reached the top flight in their first season. PSG and the Parc des Princes proved the perfect match. The revival of Paris as a football city came in the mid 1980s. Shortly after Michel Platini had lifted the European Championship, PSG spent heavily on top stars, Luis Fernandez, Kees Kist and Osvaldo Ardiles helping the club to cup wins and a first championship in 1986. Even a revived Racing Club, the great pre-war club who had won the title 50 years before, set up camp at the Parc, Pierre Littbarski, Enzo Francescoli and all. Today only PSG remain. The Parc was even usurped as a national stadium by the Stade de France for the 1998 World Cup – although it still hosted five matches. With a capacity of 49,000, the Parc has enjoyed considerable improvement since the recent investment in PSG. With two titles in the last two seasons, the Parc has also rediscovered its mojo. The stadium is divided into a lower red section and upper blue. The hardest home fans, the Kop, occupy the lower Boulogne end nearest Porte de St-Cloud metro. Opposite, the Auteuil end is also PSG. The best seats are found in the Présidentielle Francis Borelli nearest to rue du Commandant Guilbaud. Neutrals may be best placed in the Tribune Paris along the eastern sideline nearest the metro. Away fans occupy the corner between Auteuil and the Présidentielle, accessed from rue Claude Ferrère. 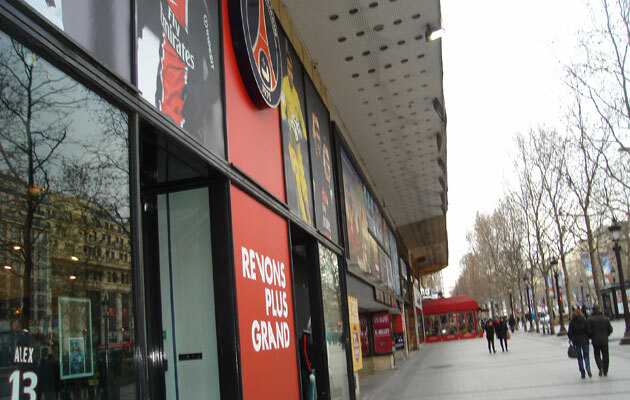 Recently, high ticket prices and draconian security measures have encouraged supporters from Montpellier, Lorient and other domestic clubs to boycott the Parc. For Chelsea’s visit, the away allocation is 2,000. 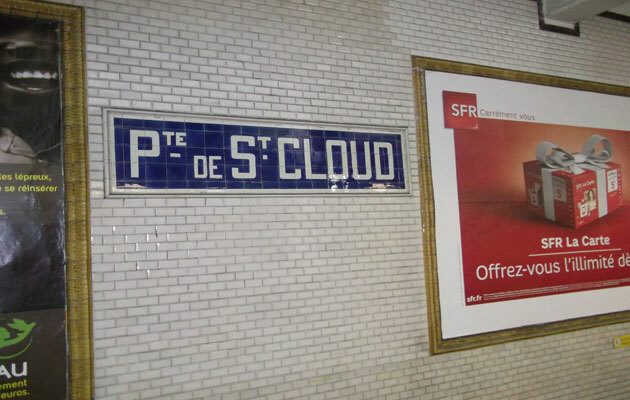 On line 9, Porte de Saint-Cloud metro station is a short walk from the Parc. 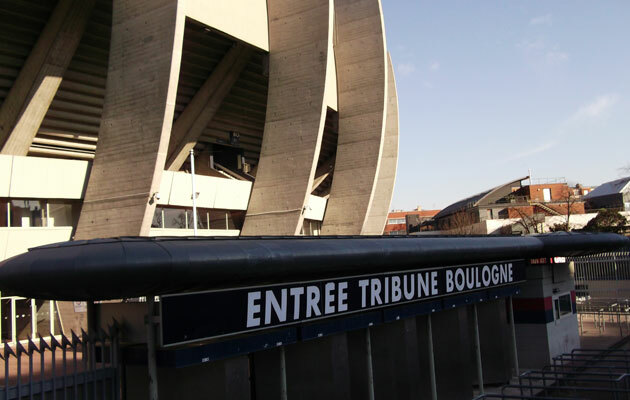 As you walk up the avenue des Parc des Princes, the Tribune Paris is to your left. Line 9 runs through key stations Franklin D Roosevelt and Trocadéro near the Eiffel Tower. Most PSG games sell out. For the latest details, see billetterie.psg.fr/uk or try billetterie.psg.fr/fr/viagogo for availability. The main store (Mon-Sat 10am-7pm and match days) is also by the club office. There’s the nifty ‘Prestige 1970’ fashion line, a modish nod to PSG history, as well as branded perfumes, passport holders and sunglasses. There’s another outlet right on the Champs-Elysées (No.27; Mon-Sat 10am-10pm, Sun 10am-9pm), by the Gaumont cinema, and a branch at Orly Airport. Due to stadium renovations for Euro 2016, there are currently no stadium tours. 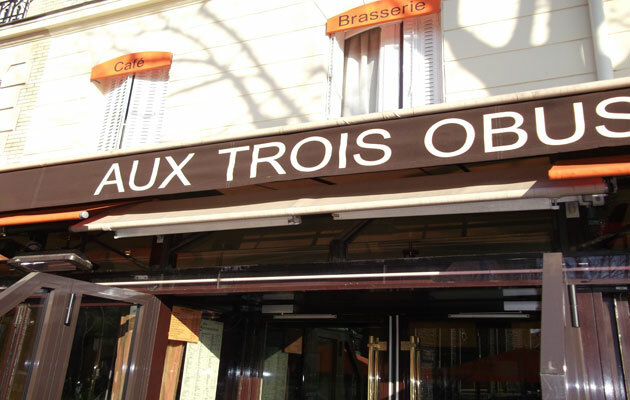 The classic PSG bar has always been Aux Trois Obus (120 rue Michel-Ange), right by Porte de St-Cloud metro station. Although now gentrified in retro orange and brown, with arty images of sporting action, this classic Parisian café still features its signature back mirror of the Parc des Princes. 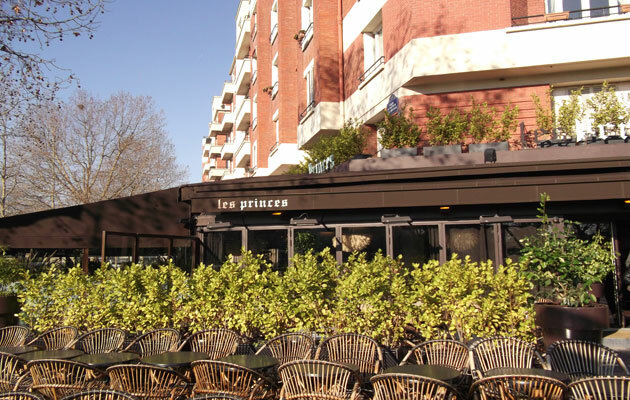 Equally upscale, nearby les princes is part-bar, part-restaurant, attracting a discerning, moneyed clientele. Further down ave du Parc des Princes, towards the rugby-oriented Stade Jean-Bouin, Les Deux Stades (41 ave du Général Serrail) is a timeless table-football bar, perennially the best choice for a pre-match drink. 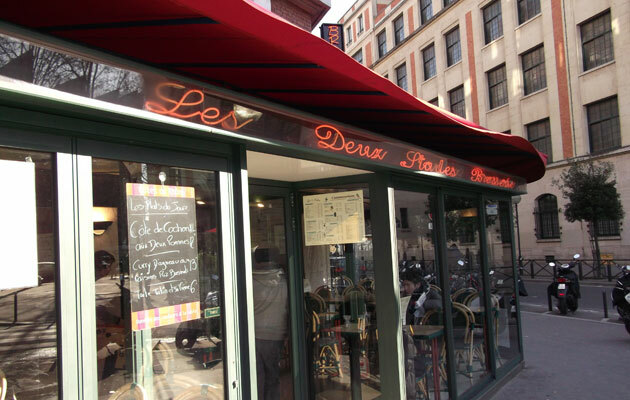 Now attractively decked out in framed football and rugby shirts, and classic black-and-white football images, Les Deux Stades still attracts local baby-foot spinning teenagers and offers a sun-catching terrace facing the Parc. With the closure of le 70 restaurant, there is currently no major outlet at the stadium.